. Published on December 11, 2014 . Cities are complex systems—unpredictable, organic and constantly evolving due to millions of incremental decisions made every day. Yet we regulate development of cities as if they are predictable and static—with quantifiable and absolute standards. Wouldn’t our regulatory approaches be more effective, and even more defensible, if we used a problem-solving, systems-based approach? Rethinking regulations requires that we first think about the character of our cities, and then think about how we regulate their development. 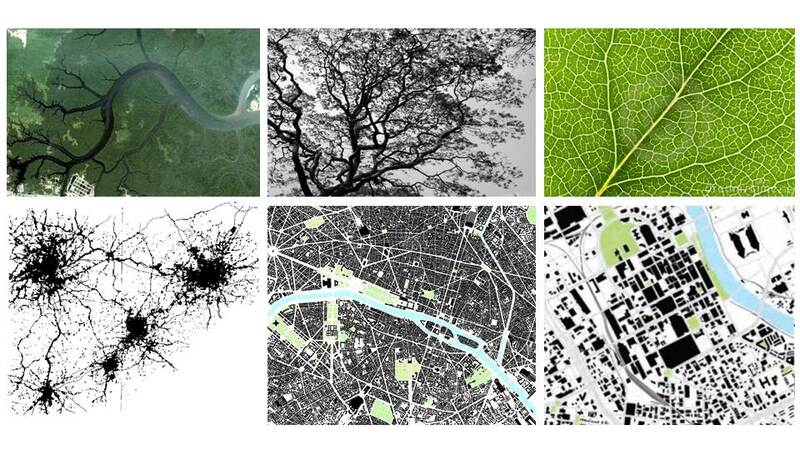 And although they are unpredictable, organic and evolving, cities are also highly organized around networks and identifiable, measurable patterns. A problem-solving, systems-based approach uses recognized patterns and scalable, universal principles to identify solve common and recurring issues in our cities—but perhaps never the same way twice. 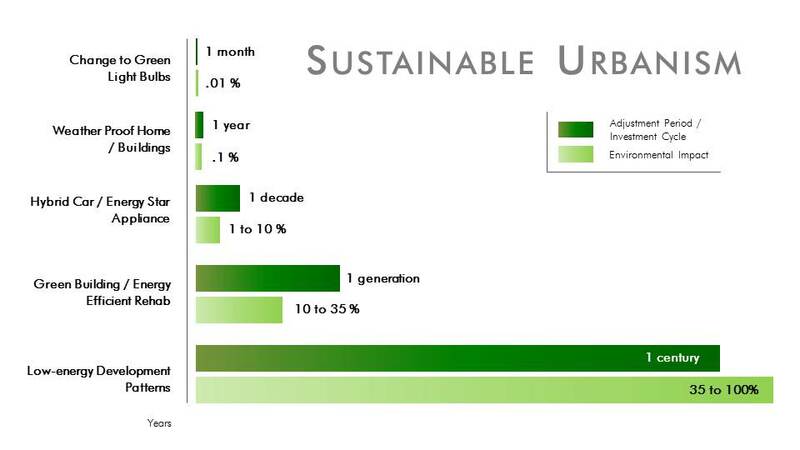 Adapted from “Sustainable Urbanism: Urban Design with Nature”, Doug Farr, John Wiley & Sons, 2008. This is not just about being “green.” The same networks and settlement patterns that improve our environmental performance—proximity, human scale design, connections and opportunities for spontaneous interaction in public space—also deliver improved public health, exceptional quality of life, and superior economic vitality and wealth compared to the alternative. Words matter. 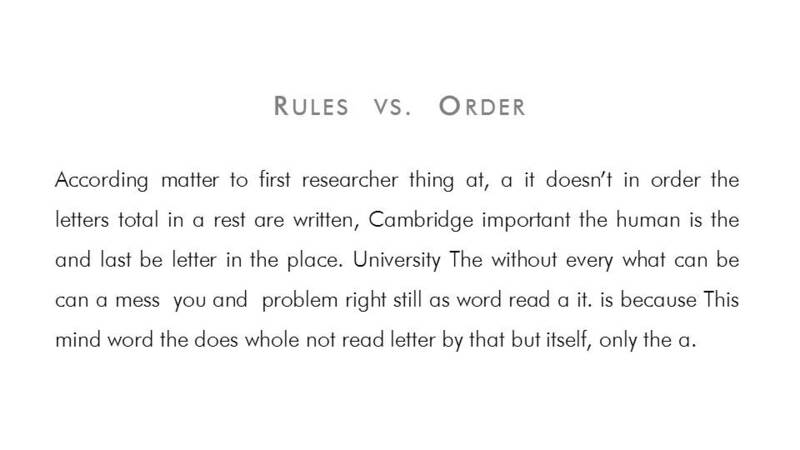 This is particularly true in regulations where every word matters as a legal rule. We understand that cities are complex systems, and they present many challenges for those who are charged with stewarding our collective investment in them. So we are tempted to respond with equally complex rules and procedures. Our regulations are quickly filled with single-topic standards, adding length and introducing conflicts while potentially undermining larger and greater priorities. 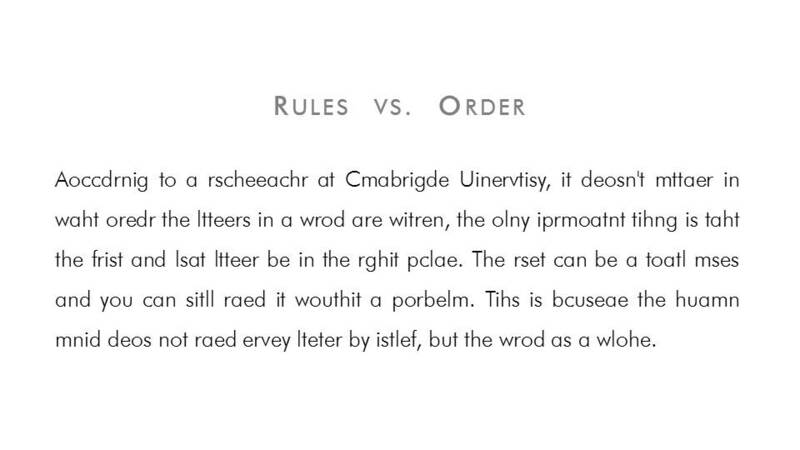 But counter-intuitively, complex rules can often result in systems that are simple or static. They can stymie innovation, incremental investment, and adaptations, and they freeze or institutionalize the status quo. This is manifest in the “cookie cutter” designs that most communities seek to avoid. The reality is that simple rules and procedures are what allow complex systems to thrive. Part of our problem is human nature—the desire to do what is easy—both easy to understand and easy to administer. Part of our problem is politics—thinking short term and allowing money, lobbyists and expedience of the “issue of the day” to shape long-term policies and investment. And part of our problem is professional training—legions of specialists educated and trained in the status quo and coached on how to facilitate and address their sole issue within this system. 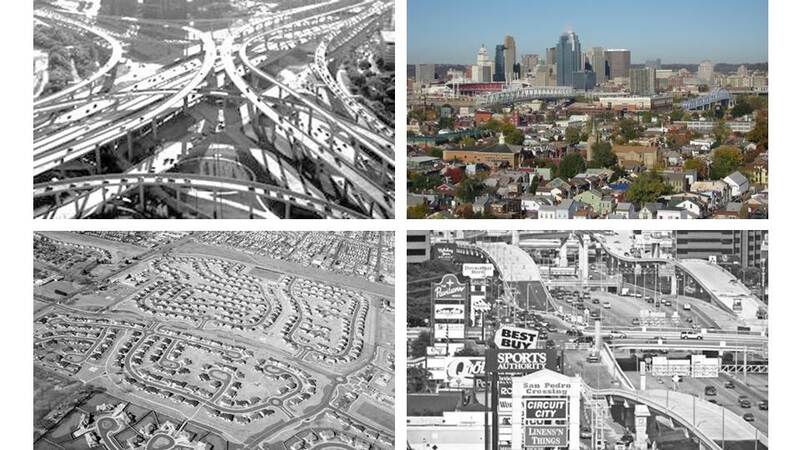 Image credits: High Five interchange in Dallas, Texas, image courtesy of www.democraticunderground.com (upper left); Cincinnati, Ohio, image Gould Evans (upper right); Albuquerque, New Mexico, image courtesy of www.travelstudies.com (lower left); San Antonio, Texas, image courtesy of www.newurbanism.org (lower right). Our track record from our current approach—increasingly complex regulations aimed at creating organized systems—should give us pause. Are these the results we want? 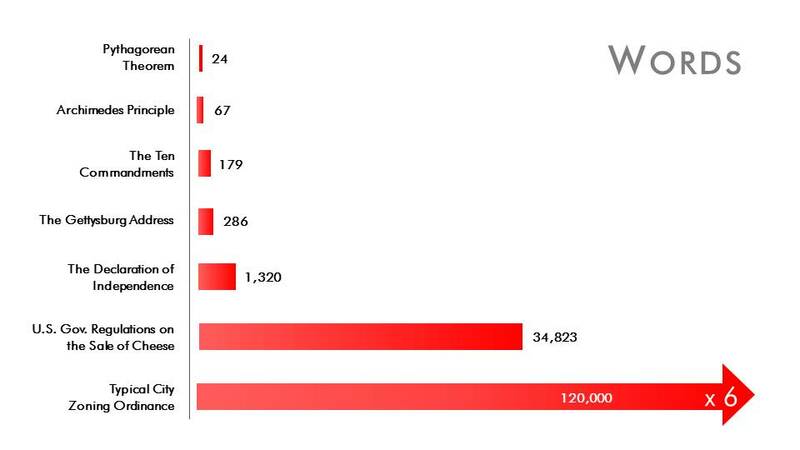 What if our goal was increasingly simple regulations aimed at creating complex systems? Isn’t that what a resilient and sustainable city needs? One way to consider this challenge is to borrow from other complex systems that operate under well-understood principles and simple rules, yet still produce endless creativity AND a refined order. Language, music and math all exhibit these characteristics. Language is helpful in understanding the importance of relationships, patterns, context and scale. Even when every detail is technically incorrect, attention to those other more important characteristics of language still allow communication of the message. Contrast this to communities where every detail of a building or site is highly regulated to a certain aesthetic or quality, yet there is no attention to the relationship of the building and site to the street, the streetscape to the block, the block to the neighborhood, or the neighborhood to the context. We end up with places of discord which have no meaning or value at all. Similarly, the basic and comparatively simple rules of music—notes, chords, harmony and rhythm—produce infinite possibilities for songs. 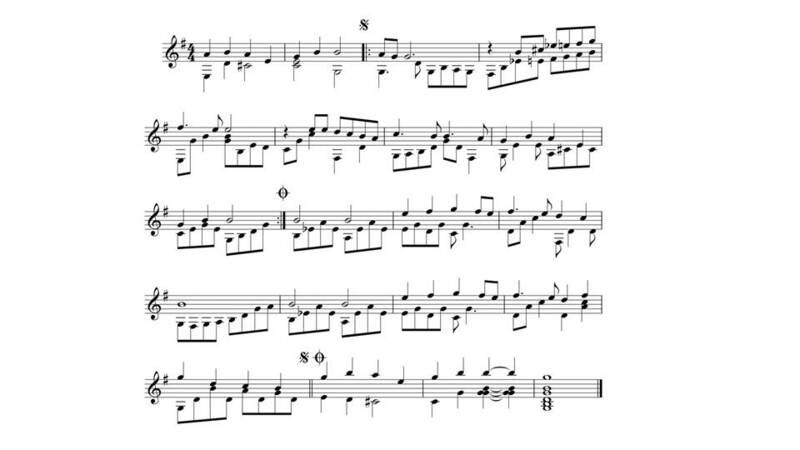 Even the same song could be arranged and produced a thousand ways following the same rules. “Yesterday”, by Paul McCartney – the most covered song in history: performed live over 7 million times; at least 2,200 versions commercially released (Guinness Book). Covers include Frank Sinatra, Boyz to Men, Elvis Presley, Daffy Duck, Bob Dylan, Liberace, Tammy Wynette, Count Bassie, Perry Como, Dr. John, En Vogue, and Johnny Cash. Always recognizable, but arguably never the same way twice. Even a single sheet of music can be the source of infinite creativity. So agreeing to some basic rules and principles of how to arrange buildings, sites, streets, blocks, neighborhoods and districts should never be claimed to limit creativity. Instead it creates order in which creativity can thrive. 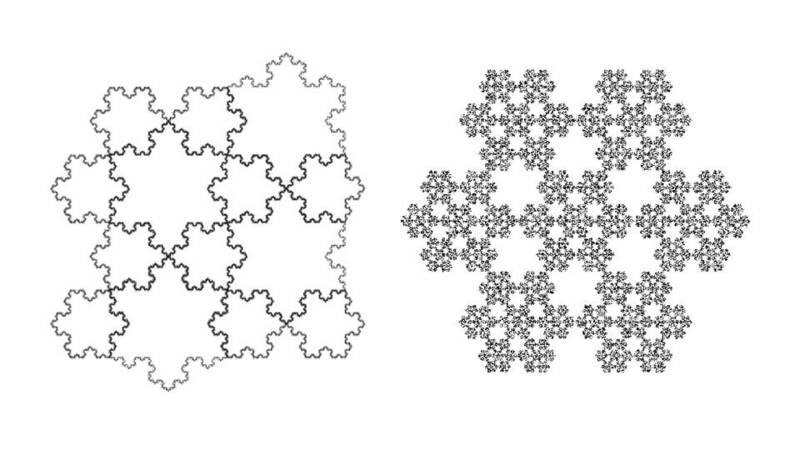 Koch Snowflake. 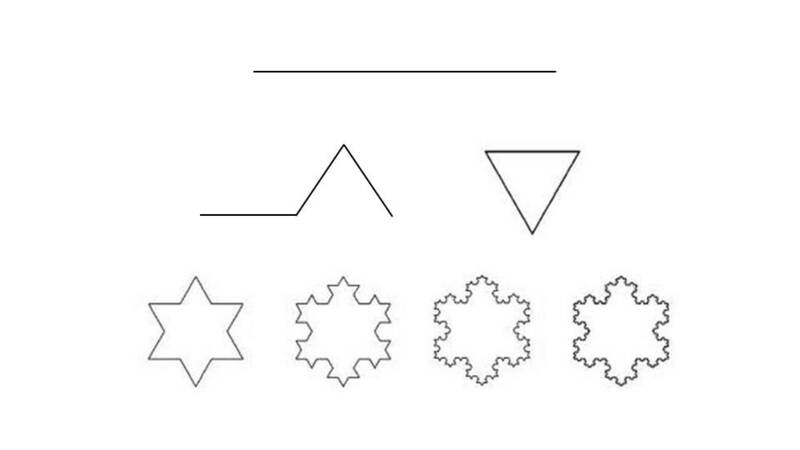 Applied in math, three simple rules can transform the simplest shape—a line segment, into an infinitely complex figure. (1) Divide each segment in three equal parts; (2) Arrange in an equilateral triangle; (3) Repeat and remove the base. 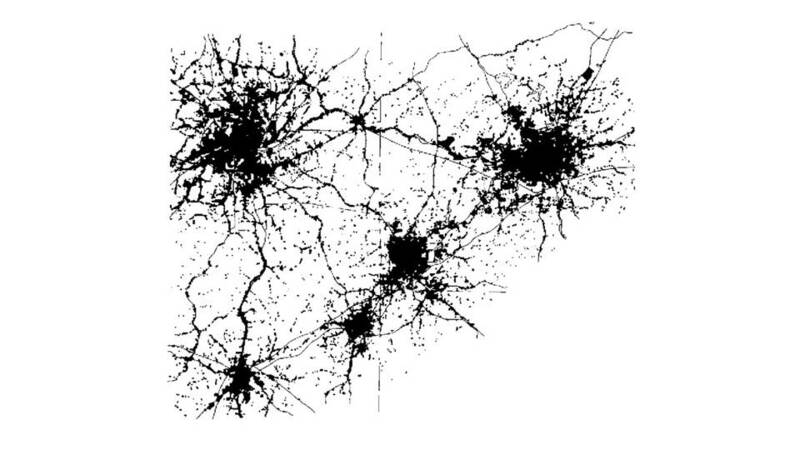 The same rule, applied at different scales yields ordered complexity—the type of “order” more suited for a city. These are the patterns of growth from five cities in NC (1958)—Winston Salem, Greensboro, High Point, Thomasville and Lexington (50-mile scale). Source: Michael Batty. This is not just a simple math trick or geometric fascination, but this is a very similar pattern of how our cities and settlement patterns have worked for centuries. Evolving, dynamic, complex—yet ordered and organized by just a few simple rules on how to build to meet human needs. These same elements are also present in another highly organized, but complex and evolving system—nature. And it is all organized around two fundamental principles—networks and patterns, with the same rules introduced at different scales to establish the interaction of networks and patterns. So how does all of this relate to how we plan and regulate cities? Land Use, Transportation, and Urban Design are three critical components of community development present at any scale. How we address these three inherently interrelated topics will largely determine how well we achieve our sustainability goals. Yet how we think about, plan and regulate each topic must be different depending on the scale at which we are addressing it. This image suggests one simple way to think about it—your city may warrant a different way—perhaps more simple or perhaps more complex. But it identifies a collection of nine fairly simple and intertwined topics that are crucial to building and investing in valuable, enduring and sustainable communities. And all nine of these topics are often overlooked or completely absent from our conventional approach to planning and development regulation—an approach that is increasingly complex, but at the same time undermining the complexity of our cities. Further, if they are addressed, regulations often focus on one single issue with no relation to the others and no relation to the next larger or next smaller scale. 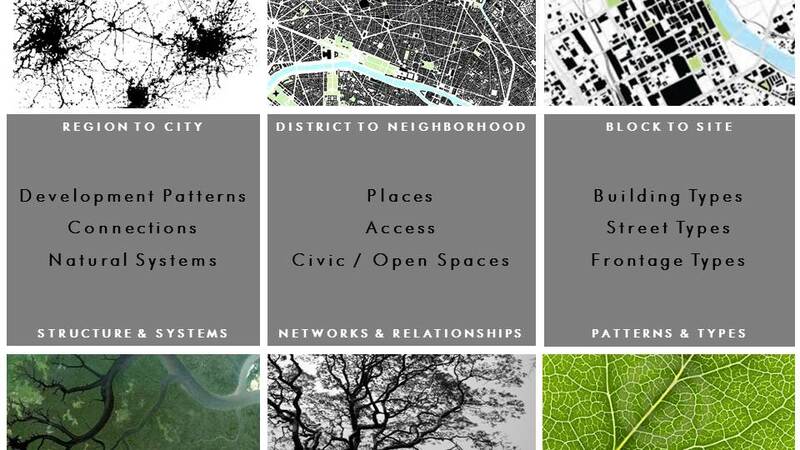 Consider whether a simple set of guidelines on these nine elements above could provide cities with tools of unending possibility, and do so in a way that is far simpler than our current approaches and achieves better results. Certainly by now most reading this have at least thought “but in the real world things are messy, complicated and there is much more to it.” Exactly! 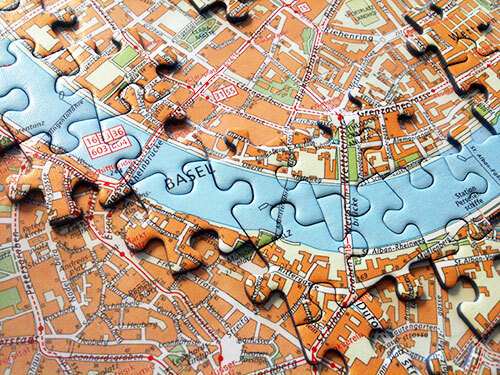 And when we are coding something that is (a) complex; (b) dynamic; and (c) unpredictable—something which all great cities are, we need to especially be reminded to code the bare minimum—the things that really matter most—and not get lost spelling each word correctly while the bigger picture and long range vision is sacrificed. It is time to re-think regulations.